Google recently announced a stock split that effectively prevents its founders, along with Eric Schmidt, to be overpowered in voting by other shareholders. Analysts were speculating what was behind that move, and one of the theories was that Larry Page and Sergey Brin want more freedom to do what they plan to do with Motorola. The acquisition is just China regulators' approval away from happening, but there are already signs that it won't be only for patent protection. Despite the backlash from other Android manufacturers, Google is willing to do the right thing, two undisclosed sources have confirmed, and go into the hardware business. 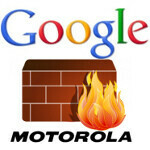 Android's Andy Rubin has always been vocal that Motorola should be firewalled from the rest of Google's business, or it will affect the Android universe negatively, but it is apparently getting increasingly hard not to be tempted by Motorola's hardware business for Google. Seeing the success Apple and Samsung have integrating hardware manufacturing in their mobile strategies, while it is earning peanuts from Android, Google has reportedly decided to go their way, and build its own devices from the ground-up, helped by Motorola's engineering prowess. The move is likely to face fierce opposition from other top Android manufacturers, but until Google actually comes up with its own device, all rumors are just talks and SWOT analysis strategizing, or, as cynics put it, a way to push Windows Phone 8 into the limelight as an alternative. too much droids, and droids are for verizon only, i think. i say a new flagship for motorola, at the same time, keeping the nexus name open for other OEMs. Yeah, the Droid line has become stale for VZW. AT&T's lineup is more impressive, esp. with the Note, but hopefully, VZW does improve. These tech blogs are getting worse even when compared to Hollywood Tabloids. another day another rumor... I guess this one makes a little more sense, If google's big wigs only wanted Moto's patents they probably would've just bought them. Buying a whole corporation only for the patents and then trying to flip them devoid of one of their most enticing parts is kinda insane really. This rumor has been regurgitated on the web. BGR went so far as to claim that manufacturers would likely boycott android and run to WP7. Ok.. lets add a little logic. new manufacturers jump on android all the time. No one really cares. Google/moto would just be a "new" manufacturer of types. Google releases all of their OS's into the internet so anyone can use them. Moto isnt going to get secret code that no one else does No businees is going to get mad from increased competition in the worlds largest market (android) and jump exclusivly to a market with 1/100th the customers most of android manufactures already make WP7 phones. Having google making their own phones isnt going to skyrocket motorola to the top of the heap. Even the moto merger is going to have trouble taking down the samsung monolith. There is nothing that Moto can do that Sammy and HTC cant.. but they can do it with a bigger fan base, custom hardware on sammy, or with great design from HTC. If Moto becomes google by proxy, the biggest change we will see will probably be a push for more stock devices, which will push the industry to make more stock devices... which will make a lot of us happy. more than likely googorola phones will not have direct update capabilities and will still have to go through the carrier, unless Google starts playing hardball FINALLY. I think its obvious which platform is giving preference, Nokia is gaining all the attention for WP devices while others are... kinda left out. Google is copying Apple as usual. Of course google school starts making its own phones it's going to give preferential treatment towards . Other phone makers will start moving away from android to OS that doesn't get preferential treatment to its own hardware. I think android will take a big dip in market share soon which is really the only thing android is good at. Google is vertically integrating their services, a business practice that is by no means unique to Apple. For the next few years, I think the major three players in mobile OSes are Apple, Android, and potentially WP. Apple supplies both software and hardware, and does not sell the rights to use either to anybody, so no fear of Android losing other OEMs to Apple. Microsoft supplies the software and sells the rights to use it to hardware manufacturers. However, due to their unique relationship with Nokia, they are highly unlikely to get hardware manufacturers to jump ship from Android entirely. I see the Google-Motorola relationship as similar to the Microsoft-Nokia relationship in practice. The key for both Microsoft and Google is to not allow their preferred hardware partners to do something so unique that other manufacturers feel like they can't compete. If Google gives Motorola the exclusive ability to provide a Vanilla Android experience, or gives it preferential treatment when it comes to updates, then that may be a problem. With WP, Microsoft is allowing Nokia greater access to the OS, but Nokia is actually assisting in the development of some of the features that ALL manufacturers will take advantage of as they are developments in the OS. If Nokia gets preferential treatment when it comes to features or upgrade path, that could be detrimental to WP's overall growth. taco - did you know that under a few feet of space dust, the core of the Moon is green cheese? That is called an un-substantiated opinion, just like your assertion that Android is going to experience a big drop in market share. Yes it is just my opinion. Unlike certain fandroids I will not pretend that my opinion is fact. except when you try to argue fact.. with opinion.. and then stomp off when actual facts are presented. The move is likely to face fierce opposition from other top Android manufacturers. Wait, help me understand: HTC sales Android and Window phones. Samsung sales Android, Bada And Window phones. Nokia Sales Window phones. Shouldn't Google be mad at HTC and Samsung from selling other operating system( Windows)?. This should be a two way street.